Dotty's Cottage01263 715779work01603 870304fax Self-cateringDotty's Cottage is a delightful home that would suit couples, friends and a small family. Situated in the seaside village of Heacham and a short drive away from The Royal Estate of Sandringham, this cottage has comfortable accomodation with amenties within walking distance. • Other: Books and games. Radio. Travel cot and highchair, please request on booking. Fixed stairgate at top of stairs. Stairs are steep with a twist in keeping with age of the property. Duvet and pillows in bedroom 1 are feather filled. Dotty's Cottage offers weekly bookings starting on Friday. Dotty's Cottage is a delightful home that would suit couples, friends and a small family. 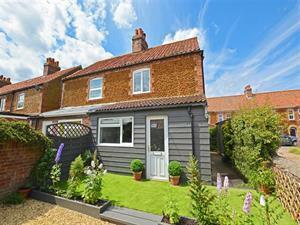 Situated in the seaside village of Heacham and a short drive away from The Royal Estate of Sandringham, this cottage has comfortable accomodation with amenties within walking distance.